OECD Forum 2018: Meet the Author with Virginia Eubanks | The Forum Network, hosted by the OECD: Shape ideas. Shape policy. Shape the Future. Automating Inequality: How High-Tech Tools Profile, Police, and Punish the Poor systematically investigates the impacts of data mining, policy algorithms, and predictive risk models on poor and working-class people in America. Virginia Eubanks recounts heart-wrenching and eye-opening stories, from a woman in Indiana whose benefits are literally cut off as she lays dying to a family in Pennsylvania in daily fear of losing their daughter because they fit a certain statistical profile. 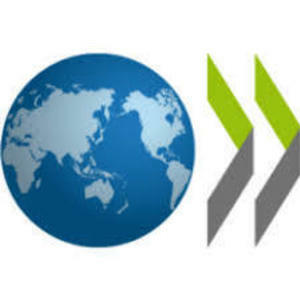 At OECD Forum 2018, Ms. Eubanks, Associate Professor of Political Science, University at Albany, State University of New York, speaks to Monika Queisser, Senior Counsellor & Head of Social Policy Division, Employment, Labour and Social Affairs, OECD, about why this is so – and what can be done about it. Join the Forum Network and post your recommendations for recently published or upcoming books on the future of work and skills in the comments below to help us co-create next year's Meet the Author sessions!